Coaching - How Can I Help? In the early 1990s and mid-career in the Royal Navy I found myself the only female amongst 180 men onboard one of Her Majesty’s warships – I know what it is like to try and be yourself and succeed in a very demanding and male dominated environment. I am very proud of my career in the Royal Navy which included a wide range of exciting sea and shore assignments, at home and abroad, and successive promotions from the bottom rung to Commander, yet it was not without its personal challenges. Something that stood out for me towards the end of that career was the benefit of coaching styles of leadership and management. It inspired me to get on a course and gain professional coaching qualifications. Having reached a crossroads in my own life, I ‘retired’ from the Royal Navy in 2012 to focus on developing my coaching business. 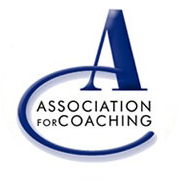 I am an Associate Member of the Association for Coaching. All too often we create our own barriers to success and well-being. It can be hard to talk about our concerns to family or friends, particularly if we feel we have reached a crossroads in our lives or work where choices need to be made. This is why I mostly work with people who have reached a mid-career point when a range of barriers begin to emerge or take on more meaning. I provide a structured process which helps clients to take stock, recognise what is important to them now and develop a plan for the future, be it near or long term. This means that they can move forward with confidence that they are heading in the direction that is right for them. Are you experiencing any of the following? If so contact me and let me help you to identify your goals, to understand your challenges and work around your barriers so that you can move forward with confidence. Are you at a stage where you want to review who, what and how you want to be as you move forward in life and work? Do you want more confidence when balancing personal and career ambitions? Do you want to reduce anxiety about key life changes? Do you want to clarify what you really want and need out of life and work? Do you want to reduce stress and overwhelm? Do you want to reduce frustration or anger with lack of progress? Do you want more order to your thoughts? Do you want to rid yourself of self-limiting thoughts? Do you want to stop being your own worst critic? Do you want to share your challenges and successes with someone who you can be open and honest with? I see coaching while walking as a great opportunity to clear your head away from your normal routine. 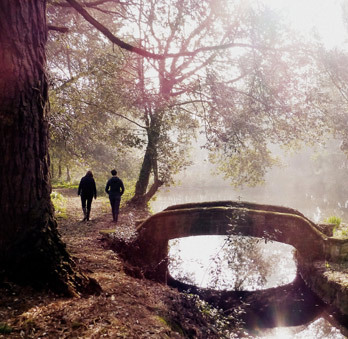 It provides you with fresh air, fresh perspectives and recharges your batteries. If walking is not for you then I also offer face to face coaching or via Skype/telephone. Your initial consultation is free. We will get to know each other and make sure that we ‘click’. We will also discuss where you are now and where you would like to be in the future. If you wish to move forward with coaching with me we will then agree times, places and cost.